Greatness isn’t achieved without a willingness to extend yourself, while success is only ever realised through a commitment to go Beyond Limits Known. 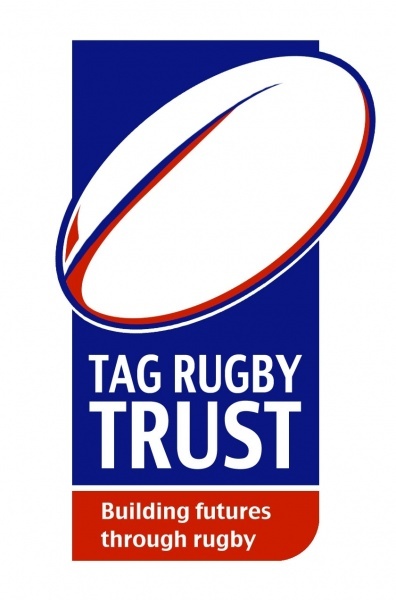 Founded in 2002, the Tag Rugby Trust uses rugby as a vehicle to “Build Futures” by providing relevant and challenging development opportunities for children, teenagers and adults alike. In the UK, and nine developing countries around the world, our work motivates, educates and empowers people to reach their potential. We do this by building successful, sustainable and positive sports programmes in the communities in which we operate. In addition to having lots of fun, this builds self-respect, self-confidence and teamwork, whilst developing a wide range of transferable life skills. Challenge yourself and join us. Have fun and make a difference. Keltbray is the UK’s leading specialist construction, decommissioning, demolition, rail, engineering and environmental materials management business. These integrated services are key to maintaining and developing Britain’s infrastructure and built environment. We undertake work to award-winning standards and take pride in our in-house capability; from engineering design to training and delivery, to meet the needs of diverse and complex projects throughout the country. Our goal is to be best in class and make a positive contribution to the world we live and work in by employing local labour and suppliers. We are also committed to tackling broader disadvantage through training, employment and volunteering, and by supporting grass root initiatives and sports. Our activities are straightforward. We remain focused on markets and services we know and understand, developing leading positions and unrivalled expertise. Our approach is prudent and considered. This enables us to grow sustainably, through all market conditions, building confidence amongst our depositors and investors. Our businesses have remained local. We continue to provide bespoke services, developing long-term relationships to ensure our success in the future. We value our clients over everything else. What they do is important – they are the doers and makers of things, the wealth creators, the investors, and the savers. We ensure our services meet their specific needs and invest to support them as they grow. These principles, founded in our past but applied to the modern world today, represent what we describe as ‘modern merchant banking’ – values that are embedded in our culture and that underpin everything we do. Today, Close Brothers Group plc employs 2,700 people, principally in the UK. We are one of the largest 250 companies listed on the London Stock Exchange. The Paladin Capital Group Limited provides investment opportunities into a diverse portfolio of UK development projects, including renewables. Working with an established network of regional developers, we provide the funding and steer needed to navigate our carefully selected portfolio through to a positive and implementable planning consent. With a gross development value of around £1.8bn and an excellent track record at planning (85% since 2009), the far-reaching economic and community benefits of our portfolio is fast becoming a reality. This founding member of the Group acts as a promoter of structured property investment opportunities through close collaboration with professional advisers, intermediaries and wealth managers. A joint venture proposition that enables us to directly participate in funding and promoting select development projects with UK property companies, developers and high net worth individuals. We are insurance experts with long-standing relationships across the industry. Our flexible approach helps us build cutting-edge insurance products that meet the needs of your customers and your business. We provide solutions for Travel, International Health and Personal Accident as well as Ancillary Motor, Home Emergency and Dental cover. Astrenska is part of Collinson Group, a global leader in shaping and influencing customer behaviour to drive revenue and add value for our clients. Our breadth of expertise in Loyalty, Lifestyle Benefits, Insurance and Assistance creates unrivalled insight about affluent consumers and frequent travellers. Madhouse is a leading independent communications agency, delivering award-winning solutions in branding, digital marketing, advertising and design. We are very proud to have helped create the Legends Rugby branding and website, helping to spread the word about the UK’s most exciting rugby festival!